While growing up in Toronto, Dr. Albert Cheskes and his family were patients of Dr. Maxwell Bochner, the founder of the Bochner practice. In fact, Dr. Bochner is credited with saving the life of Dr. Cheskes’ mother when he detected a kidney problem while examining her eyes in the 1920s. 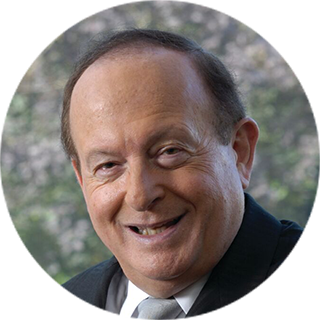 Dr. Cheskes graduated from the University of Toronto medical school in 1961. From 1963 to 1966 he trained as a resident in ophthalmology at the Mayo Clinic. He also received a Master of Science degree from the University of Minnesota doing corneal research. Dr. Cheskes began to practice ophthalmology with Dr. Harold Stein and Dr. Maxwell Bochner in 1966. Today he is a highly respected expert in cataract implant surgery, consultative ophthalmology, ophthalmic surgery, and laser refractive surgery. Throughout his career, Albert Cheskes, MD, has been a pioneer in the field of ophthalmic surgery. He witnessed the first experiments with keratomileusis (an early form of corneal refractive surgery) in the early 1960’s, and along with Dr. Harold Stein and Dr. Raymond Stein, was one of the first surgeons in Canada to perform laser vision correction procedures, eventually going on to perform many thousands of excimer laser refractive procedures. Dr. Cheskes is an assistant professor of ophthalmology at the University of Toronto, the past Chief of Ophthalmology at Centenary Health Center, and an active staff member at St. Michael’s Hospital in Toronto. He is also on the ophthalmology staff at Sunnybrook Hospital and Scarborough General Hospital and was Chairman of the Eye Safety Committee of the Canadian Ophthalmology Association for many years, as an advocate for public safety in ophthalmology. Dr. Cheskes, his wife and their three children are all long-time Toronto residents and involved members of their communities. Dr. Albert Cheskes is a leading laser eye surgeon. He and his colleagues at the Bochner Eye Institute are proud to perform a variety of vision-related treatments, including refractive lens exchange, cataract removal, keratoconus treatment and PRK Surgery in Toronto, Scarborough and Unionville.